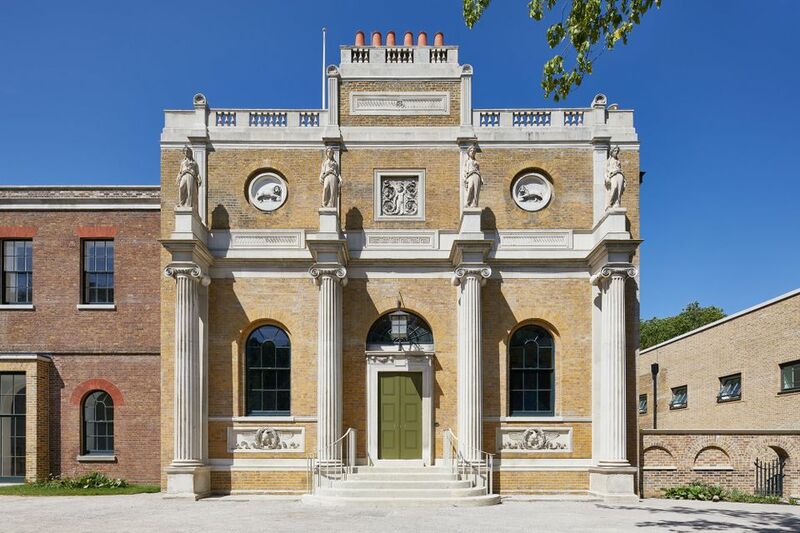 When the celebrated Sir John Soane, the architect of the Bank of England and the Dulwich Picture Gallery, found his dream country home in 1800, he promptly spent a great deal of money knocking down most of Pitzhanger Manor, keeping only the wing designed by George Dance on which he had worked himself as a teenage apprentice. The house, then set among fields of cows and sheep, now deep in west London suburbia in Ealing, reopens to the public on 16 March after a three-year restoration. Once again a large chunk of the £12m project cost has gone on demolition, sweeping away Victorian accretions that smothered the startling originality of Soane’s design. The building now stands again framed by classical columns, speckled with real and reproduction antiquities and topped with a giant stained-glass roof box visible long before the house itself comes into view. Soane loved Ealing and often left his London home in Lincoln’s Inn Fields at dawn to walk to Pitzhanger for breakfast and a spot of fishing with his friend JMW Turner, whose own tiny country house still stands only a few miles away. The fantasy of gentlemanly country ease sadly collapsed into bitter family divisions and within a decade Soane stripped the house and sold up, taking the furniture, paintings, sculptures, classical urns and books back to London. His peculiar genius was too much for later owners and was heavily altered, the rich dark marbled surfaces whitewashed, the amber glass interior windows which fill the core of the house with a slightly eerie golden-syrup light blocked up, the roof box and the giant conservatory across the full width of the back wall demolished. The ingenuity of the open colonnade “resembling the mutilated trunks of ancient columns”, in Soane’s words, and linking the house to the original kitchen, would not have appealed to owners who saw staff enjoying beautiful views of the garden as they transported rapidly cooling dinners. All the lost features have now been restored by architects Jestico + Whiles and conservation experts Julian Harrap, with support from the Heritage Lottery Fund. Sensational paint archaeology by Hare & Humphreys recovered the original startling colours and surfaces, including an arsenic-based blood red which has been carefully removed. 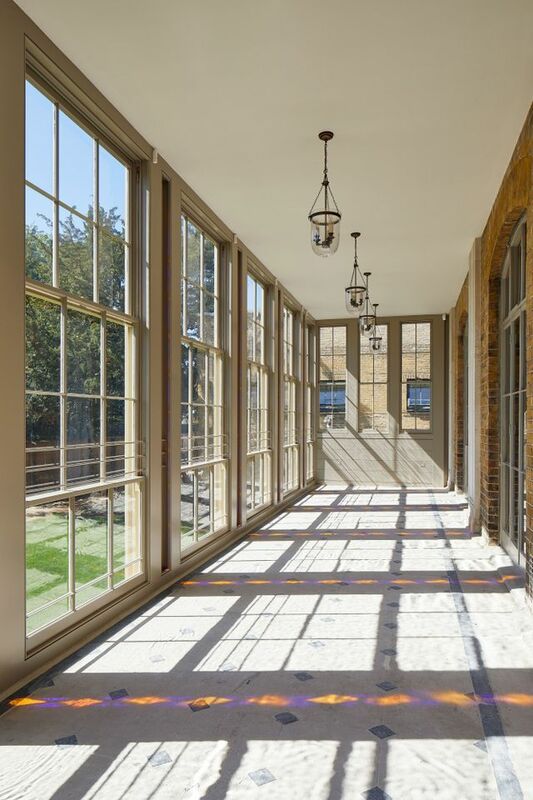 The reinstated colonnade now leads to the building that replaced the kitchen block, carefully designed in the 1930s by the local authority as a lending library with shallow domed stained-glass skylights in homage to Soane and restored in the 1980s as an art gallery. 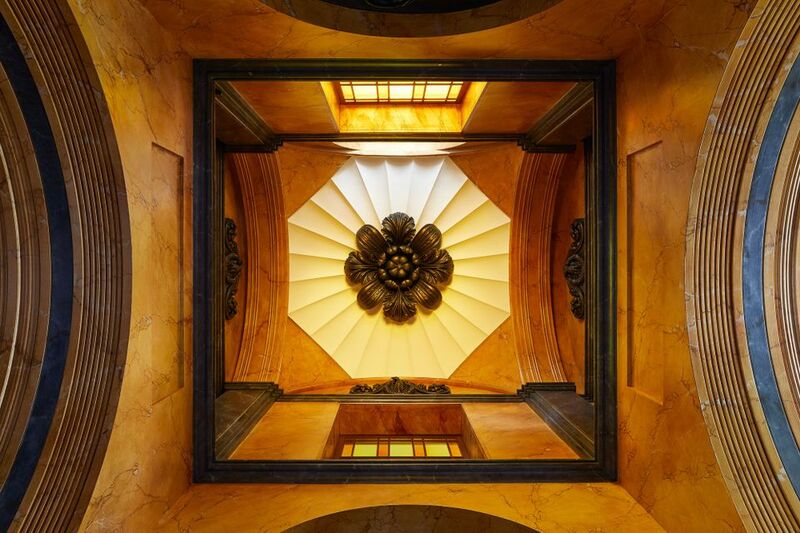 This, too, has been renovated and upgraded, and reopens with a spectacular exhibition by the sculptor Anish Kapoor, a Soane admirer: “I love that it’s in Ealing, not in central London,” he said. The show is sponsored by Coutts bank. Gough urges visitors to look up carefully as they enter: although the tomb of Eliza, Soane’s long suffering wife, is often cited as the inspiration for the iconic red telephone box designed by George Gilbert Scott, Gough believes the true ancestors of both were hiding in plain sight in darkest Ealing—the Pitzhanger gateposts.